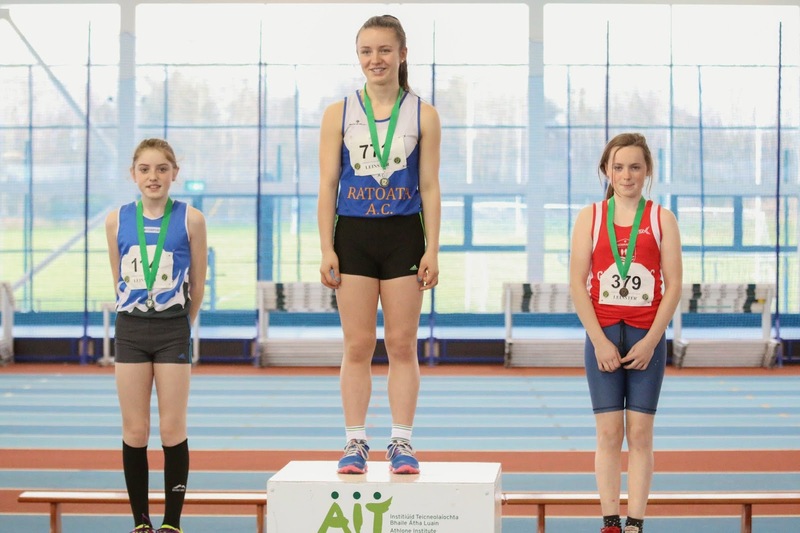 We had a record turnout of 27 athletes competing for the club at the Leinster juvenile track and field championships which were held in Athlone over the Weekend. We had some outstanding performances over both days and came away with 5 gold, 2 silver and 3 bronze and a large number of top 10 finishes. The U15 high jumpers, Lara Power, Zara Kane and Rachel Doherty got the day off to a great start with some great jumping, Lara claiming the first medal of the day with a 3rd place finish, Rachel 5th and Zara 6th. Emma Coroner was also competing in the long jump and was desperately unlucky to finish 4th, had she hit the board she would have been in contention for the gold. 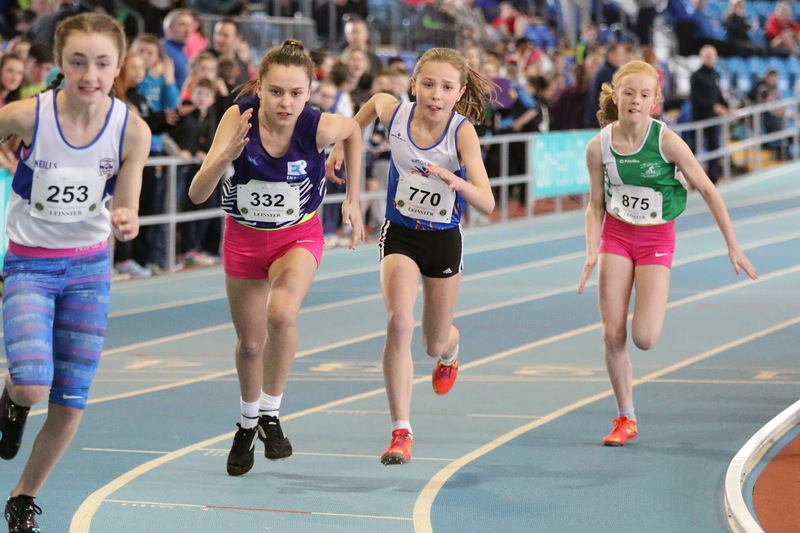 Aimee Doherty, Eabha Toole, Kyle Witter, Ella Healy, Aoife Rutherford and Tom Kilgannon were up first on the track in the heats of the U12 &13 600m, qualification was all the more difficult with only the winner being guaranteed a spot in the final, Eabha and Aimee got through the u12 heats, with Kyle unlucky to miss out, Tom, Ella and Aoife also got through to the u13 final. 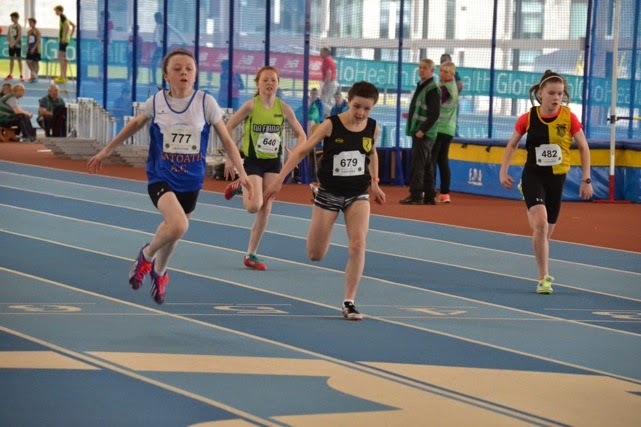 Aimee and Eabha were first off in the 600m finals, Aimee got off to a good start and took an early lead setting a blistering pace on the first lap, and with some very strong running she maintained her advantage to win her first Leinster title in a time of 1:48.95s. Eabha Toole didn’t get into her running in the final, but had already set a big pb in the heat of 1:59s. 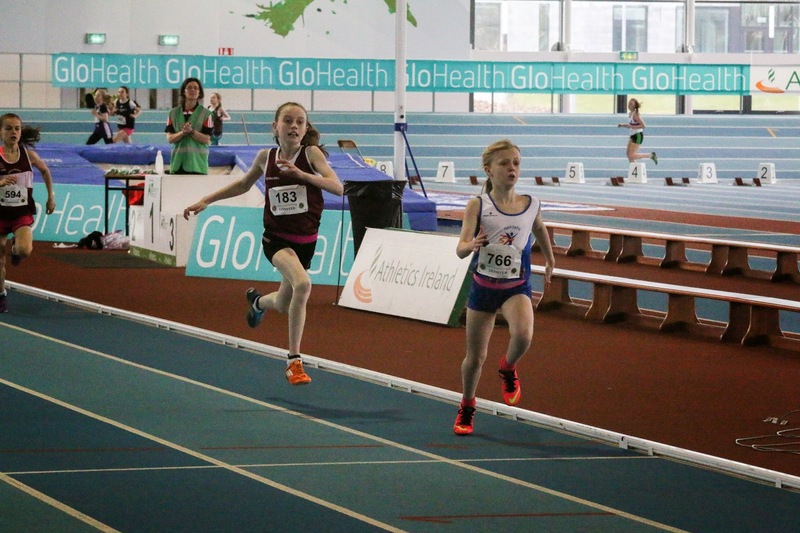 Ella Healy and Aoife Rutherford had to contend with a very competitive field in the u13 girls final, the pace was hot from the start and continued for the 3 laps with a winning time of 1:45s, Aoife finished 8th and Ella 10th , both girls setting pb’s of 1:52 and 1:53. It was great to have 2 athletes in both the u12 and 13 girls final. Defending champion Tom Kilgannon had another battle with his great rival and Meath team mate Conor Leane from Dunboyne, Tom went into the lead early and maintained it until the final straight when out of nowhere Conor Leane passed him with 10m to the line, both lads qualified for Nationals and We look forward to another great battle in 2 weeks. 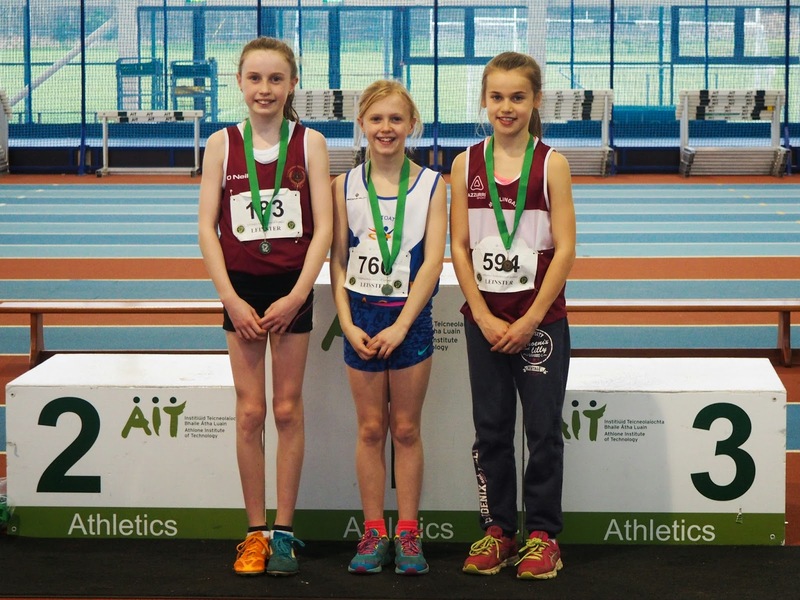 Matthew Buckley and Lili O Connor were very convincing winners of their 60m Hurdles events with a powerful display in the u14 boys and u13 girls event, Matthew and Lili will now be strong contenders at National Finals on March 28th. 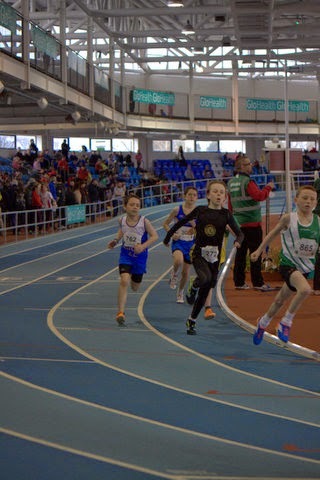 Sunday seen our sprinters into action, again large entries made it if difficult to qualify out of the heats, Aimee Doherty, Kyle Witter, Molly Keane and Eabha Toole took to the track first in the u12 60m sprints, Aimee and Eabha qualified for the semi-final with Kyle and Molly just missing out, Aimee later made it to the final with the fastest qualifying time but her efforts on Saturday caught up with her finishing 6th in the final, Eabha just missed out on making it to the final. Lili O Connor, Ella Healy and Emma O' Connell all qualified for the semi-finals easily, Ella and Emma again just missing out on making the final, Lili made it out of her semi to finish 5th in the final in a very competitive field. Emma has made a big improvement this year with a big pb of 9.05s. 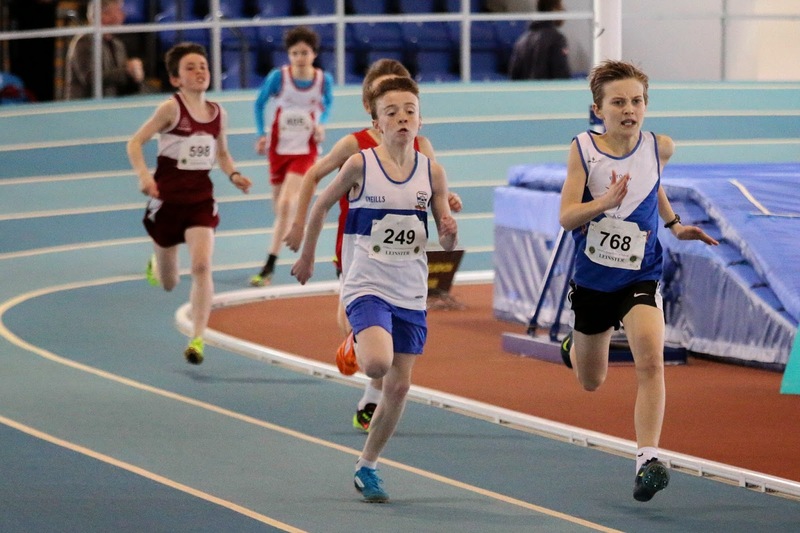 Matthew Buckley, Ben Toole and Kevin Conway were in action for the boys in the u14 60m, Matthew was a comfortable winner of his heat and Semi-final and he went on to win the final in a record time of 7.57s. Ben qualified out of his heats but did not make it past the semi-finals, Kevin finished 3rd in his heat but it was not enough to make the semi. 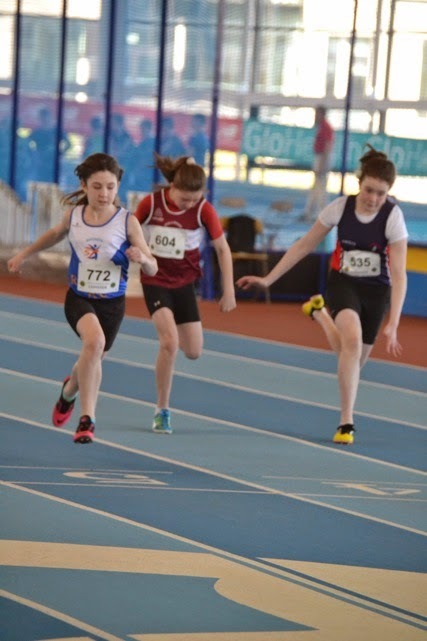 Emma Coroner has moved up a gear this year and with some terrific sprinting in the u14 girls 60m she made it through all qualifying rounds to the final where she finished 3rd just 1/100th of a second off silver. Aine Cooney and Ivie Okome also progressed to the girl’s u15 final, but had to settle for 6th and 7th on the day after a poor start. Maria Rogers missed out on qualification. 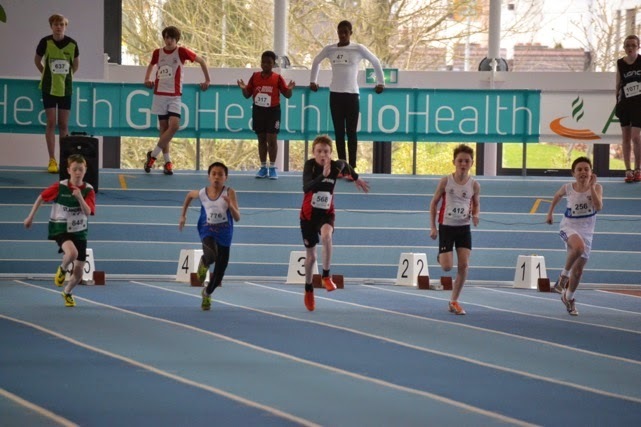 With no semi-final in the boy’s u15 60m it was going to be difficult to make the final, Daragh Casey was unlucky to just miss out, Daragh finished 5th in the long jump earlier that day. 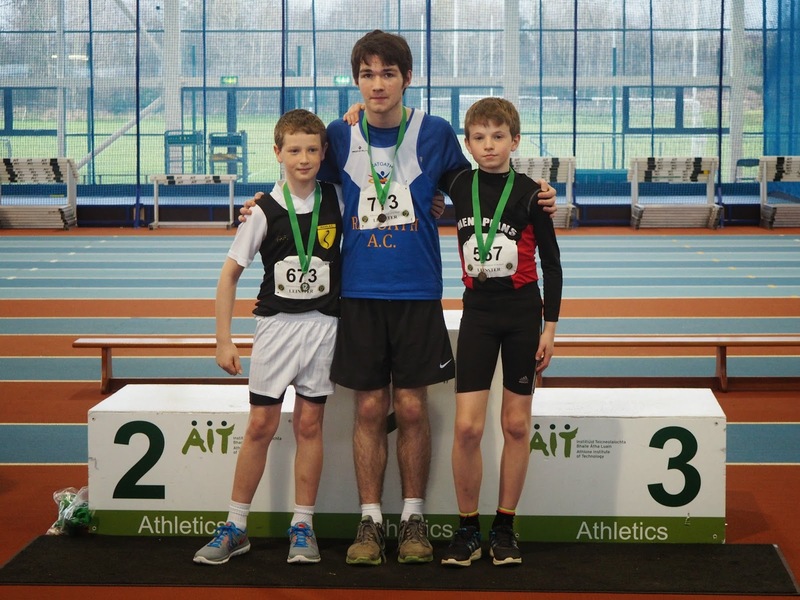 Fionn Drummond was also unfortunate to miss out on a medal finishing 4th in the u12 boys high jump on count back, Lili O’ Connor medalled again in the girls u13 long jump finishing 2nd. 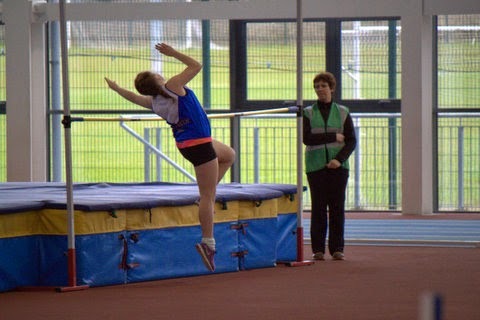 Rachel McPartlin finished 9th in the u14 girls High Jump. 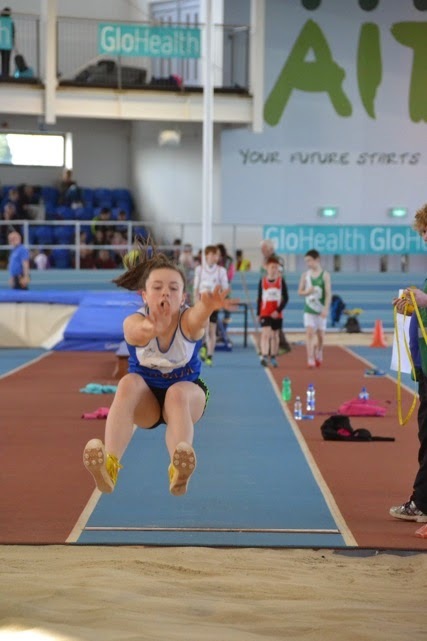 Well done to all athletes who competed at the weekend and congratulation to our athletes who have qualified for the All Ireland finals on March 21st,22nd and 28th.